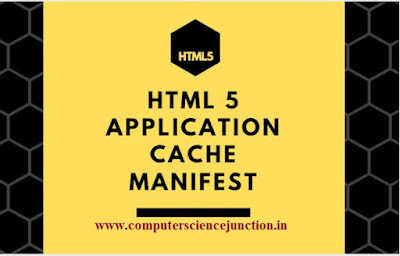 This tutorial covers the basic concepts of html5 application cache manifest and it's types such as cache manifest., network and fallback. 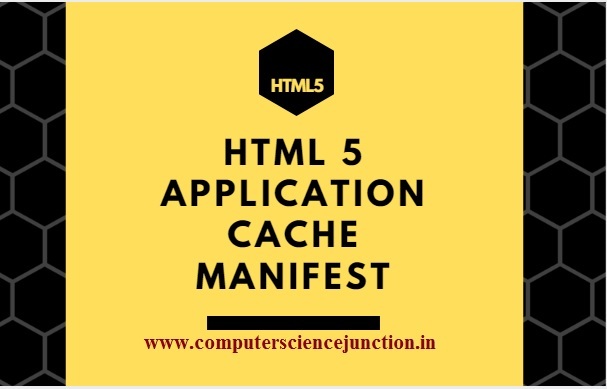 For caching the web page, it is mandatory to declare the manifest with html element on every and each page. A particular webpage can’t be cached until we don’t declare the manifest file. The recommend file extension for a manifest file is appcache. The manifest file also needs to configure with the correct MIME-type, which must be configured well on the web server. The format may has follows: text/cache-manifest. It’s a simple text file, which tells the browser for particular cache processing. In details we can say it sends a command to browser for specific file type to be stored in the cache. The files listed under this category only will be cached after they are downloaded for first time. To declare the cache manifest type, you need to write CACHE MANIFEST at the first line of the page. In the above demonstrated syntax, there are three types of file have been declared: CSS file, GIF file and JS file. When the user will use the internet connection for the first time, these three files will be download. And once the download is finished, the user can access these files, even when no internet connections. The files listed under this category will always require an internet connection. Without the internet connection these files will not be served. Often we have seen that we include some PHP files or other resources to get access in the database. To do this such event, we authorize the user with login system. In the section of Manifest type, we can prevent the user for accessing the particular file as cached version. Instead of declaring a specific file, we can also use an asterisk sign to prevent all resources to be cached. And user must have an internet connection to get access. This section of Manifest can be used if we want to serve a specific file in case of no internet connection. In this process we create a specific file and set it in the fallback. Once the user is offline or not able to access the internet connection. The specified file will be served. This seems good if someone has issue with internet connection, but be careful what you cache. Once the browser cache the file, the user will continue seeing the cached version until you don’t change your updates with program or the user doesn’t clear the cache of the browser.